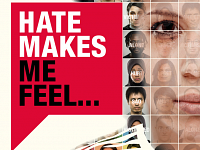 To mark National Hate Crime Awareness Week 2017, there will be a stall in Moor Markets from Tuesday 17 October to Saturday 21 October. Run by Sheffield Safe Places, Disability Sheffield and Sheffield Voices, it will be a chance for people to draw attention to the issue and to interact through art. Hate Hurts - Help put a stop to it today! This campaign shares the message that autism and learning disability hate crime is unacceptable, and that something can be done. Are you with Sam? Early September saw a joint Hate Crime event hosted by the Disability Hub and the Religion and Belief Hub as part of ongoing activities by the Equality Hub Network. Disability Sheffield volunteer and activist Deborah Sunday puts together some background to Hate Crime in the UK. 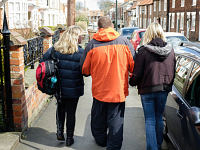 Everyone deserves respect, yet here in Sheffield people still face physical, verbal and other forms of attacks daily at home and in public due to their personal characteristic such as age; race; religion; sexual orientation; transgender and/or disability. 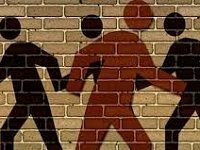 In 2007, the UK criminal justice system defined Hate Crime as: “any criminal offence which is perceived, by the victim or any other person, to be motivated by hostility or prejudice towards someone based on a personal characteristic”. Sadly human rights rules, the Criminal Justice Act and the Equality Act 2010, have not stopped hate crime in the UK. A disability hate incidence can be a one-off incidence in public places such as hospitals and transport. It can also be continuous intimidations and harassments from caregivers; neighbours; local youths; friends and families; work places and classmates to mention a few. Campaigners have attacked the government’s new hate crime action plan for its ‘totally disrespectful’ failure to address problems around disability-related hostility.